Little Bluff Inn is open year-round, with a 2 night minimum stay on weekends during peak season (May through October). We are Handicap Accessible and we offer secure indoor storage for bicycles & motorcycles! Free continental breakfast is offered on Saturday and Sunday during peak season at Little Bluff Inn! Occupancy 2 Adults per room – extra adult in the same room is $10.00 per person per day. Room 22 unit includes a king size bed, closet, bathroom with tub/shower, kitchenette area with table, chairs, small refrigerator, and microwave along with a sitting area that has a double pull-out sofa. Room 23 unit includes a Queen size bed, side chair, clothes rack, bathroom with shower. 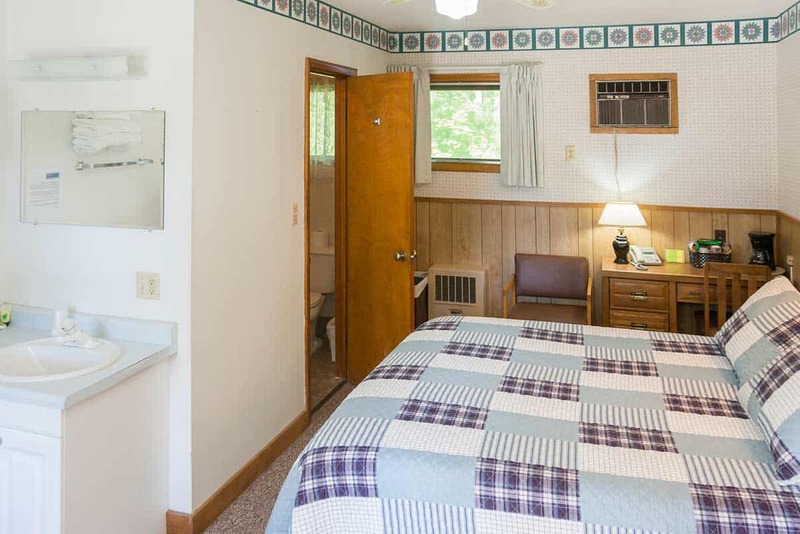 Room 24 unit includes a Queen size bed, side chair, clothes rack, bathroom with shower. Room 25 unit includes a Queen size bed, side chair, clothes rack, bathroom with shower. Room 26 unit includes a Queen size bed, side chair, clothes rack, bathroom with shower. 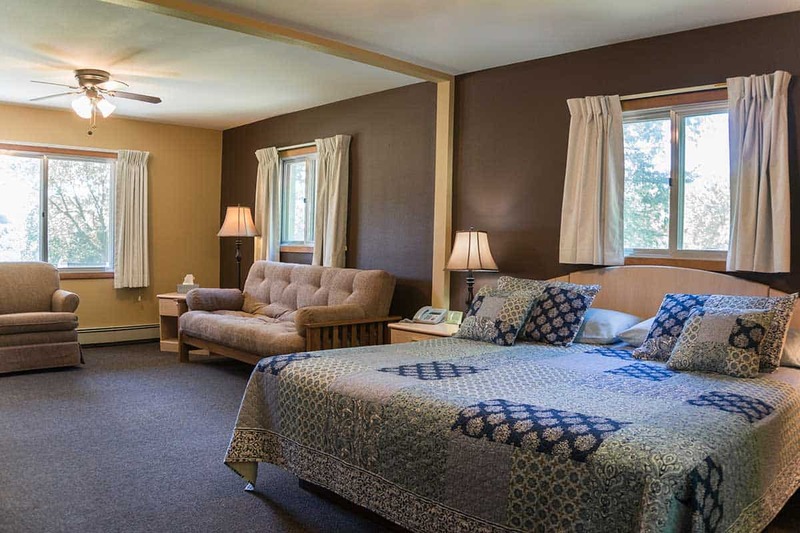 Room 27 unit includes a Queen size bed, side chair, clothes rack, bathroom with shower. Room 28 unit includes a Queen size bed, side chair, clothes rack, bathroom with shower. Room 29 unit includes 2-Queen size beds, closet, bathroom with tub/shower, kitchenette area with table, chairs, small refrigerator, and microwave along with a big soft chair. 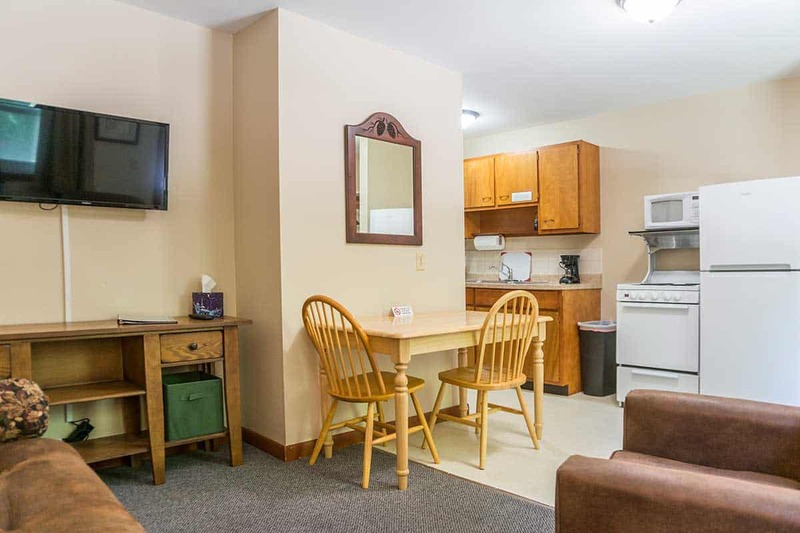 Room 30 unit includes a king size bed, closet, bathroom with tub/shower, kitchenette area with table, chairs, small refrigerator, and microwave along with a sitting area that has a double pull-out sofa and chair. Room 31 unit includes a king size bed, closet, bathroom with tub/shower, kitchenette area with table, chairs, small refrigerator, and microwave along with a sitting area that has a double pull-out sofa and chair. 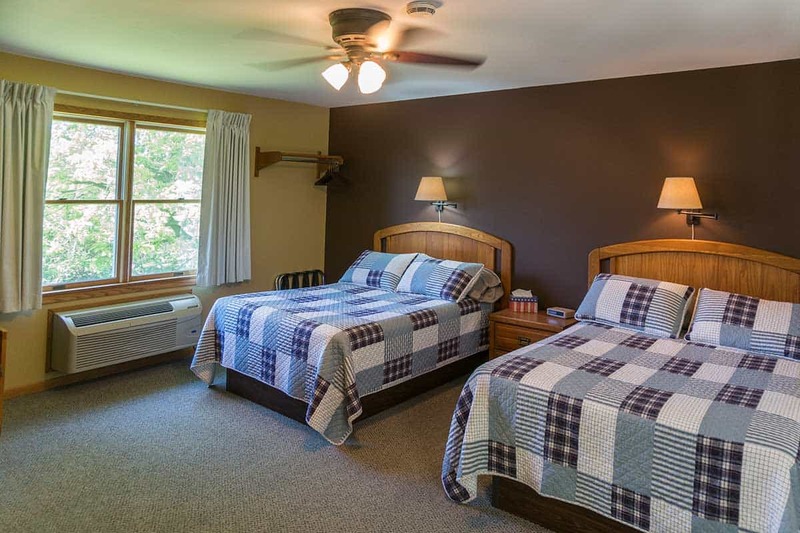 Room 32 is Handicap accessible and includes 2- Double beds, clothes rack, bathroom with shower, small table, chairs, small refrigerator, and microwave. Room 33 unit includes 2 Double beds, clothes rack, bathroom with shower, small table, chairs, small refrigerator, and microwave. Room 34 unit includes 2 Double beds, clothes rack, bathroom with shower, small table, chairs, small refrigerator, and microwave. Room 37 Kitchenette unit – Capacity for up to three people*, queen bed in separate bedroom, double size fold-down sofa in living room. Galley kitchen with refrigerator, electric stove, coffeemaker, double sink, microwave, kitchen table with 2-3 chairs, bathrooms with toilet, sink and bathtub and/or shower. Room 38 Kitchenette unit – Capacity for up to three people*, queen bed in separate bedroom, double size fold-down sofa in living room. Galley kitchen with refrigerator, electric stove, coffeemaker, double sink, microwave, kitchen table with 2-3 chairs, bathrooms with toilet, sink and bathtub and/or shower. All units come with flat screen cable TVs and coffee makers.